Right now, fewer than three hundred DeLorean DMC-12 cars remain on Britain’s roads, out of a total of 8,583 made in Belfast from 1981 to 1983. However, with its gull-wing doors and stainless steel finish, and its place in popular culture as the mobile time machine in the “Back to the Future” films, the car inspires businesses and fan clubs to carry on servicing it, import them from the United States, with a US company beginning to make new cars using leftover parts from Belfast. Meanwhile, the Austin Ambassador (1982-84), an update of the wedge-shaped Princess range of 1975 that used parts borrowed from other cars, was made as a stop-gap until the Austin Montego was ready. According to howmanyleft.co.uk, out of 43,427 cars sold in the UK, there are SEVENTEEN left, including those registered as off the road. The Ambassador holds a strong place in my childhood, filled with images of “Back to the Future”. With rakish lines that still feel modern, the future was meant to look like this but, unfortunately, the DeLorean did the better job. We had a second-hand, silver 1.7 litre model, looking to me like a family-sized time machine, with a spongy red interior, ripe for being thrown up on by a small child. We had our Ambassador until it was scrapped, due to familiar complaints of rust and poor build quality from British Leyland, the byword for industrial disputes in the 1970s and 80s. Even when they still worked, they weren’t made desirable enough – manual gearboxes only went up to four gears, and higher-equipped models still didn’t come with a rev counter, so people who could afford not to listen to their engine had to carry on as before. The last Ambassador, given to the British Motor Industry Heritage Trust, was sold at auction in 2003, to make space for other cars. It was later bought out of storage by a club of enthusiasts, determined to make a symbol of a bad time in the British car industry worth remembering, on its own terms. Why care? 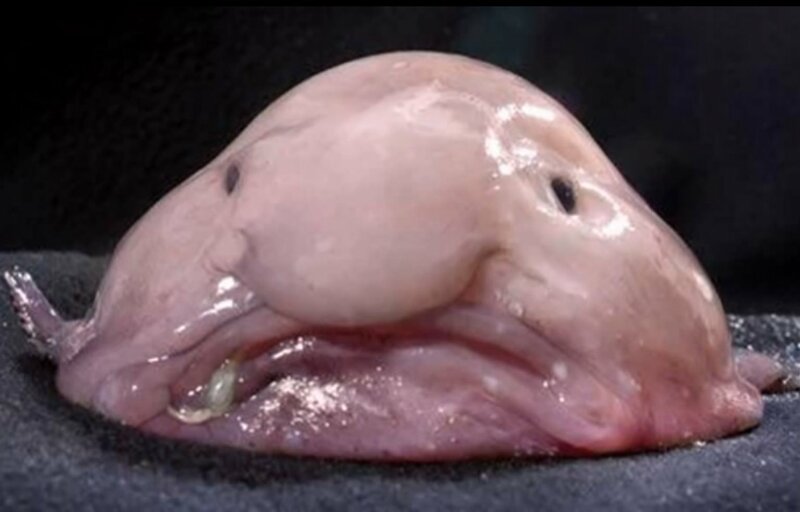 Ask the blobfish. As the general mascot of the Ugly Animal Preservation Society, and winner of a 2013 contest for the ugliest animal on Earth 2013, this endangered species depends on humanity harnessing the power of irony to save it. Turning the blobfish’s ugliness into an advantage highlights how we tend to save only the cutest species, even if the reproductive powers of some, like the Giant Panda, make that job very difficult. It is not morally acceptable to pick and choose which animals should be saved - you do it because you should, and because you don’t want to be the one that has to say there are none left. Likewise, for those that still enjoy remembering what the British car industry used to make, the Austin Ambassador deserves to be preserved as much as the DeLorean – in fact, with the Ambassador being the much rarer car, doesn’t that make it more desirable now?